And a bonus tip from Cory Doctorow, who gets more email than you and me combined: When you go on vacation, set up an autoreply that says, "I'm on vacation until x/x/2010. When I get back, I'm going to delete all the email that arrived while I was gone, so if this note is important, please send it to me again after that date." There are many, many different ways and methods to sponsor new Associates - warm market, classified ads, purchased leads, etc., etc. The various methods, combined with the individual Distributor's belief, confidence and experience level, make it difficult to determine specifically, at least initially, how many presentations a particular Distributor would have to make to sponsor one new Associates? For the sake of this exercise, let simply, assume that they would sponsor one out of every ten people they make a presentation to. Note: By "presentation", I am referring to an H&F Meeting, a one-on-one H&F Presentation in person, an information pack sent by snail mail or e-mail, or a telephone presentation using the H&F Presentation, Fast Facts, etc. Therefore, we would need to make thirty presentations in one month in order to sponsor three new Associates in a month. Don't send the same email to large numbers of people. If you have more than a few people to contact, you'll be tempted to copy and paste or mail merge. Don't. You'll get caught. It shows. If it's important enough for someone to read, it's important enough for you to rewrite. Careful with the salutation. Don't write, "Dear Claudia," if you don't usually write "Dear" at the beginning of all your emails. Don't mush the salutation together with the rest of the note. If I had a dollar for every email that started, "Joe, When experts come together..." That's not personal. That's lazy merging. See rule 1. Don't send HTML or pictures. Personal email doesn't, why are you? Don't talk like a press release. Talk like a person. A person is reading this, so why are you talking like that? Be short. The purpose of an email is not to sell the person on anything other than writing back. If you don't have a personal, interesting way to start a conversation, don't write. Don't send an email only when you really need something. That's not personal, that's selfish. Do you have a sig with a phone number in it? Your phone number? If you don't trust me enough to give me your real phone number, I don't trust you enough to read your mail. Don't mark your email urgent. Urgent to you is not urgent to me. Don't lie in your subject line, and don't be cute. You're not clever enough to be cute. Just be honest. Just because you have someone's email address doesn't mean you have the right to email them. “I dream of a world free from pain and suffering. I dream of a world free from disease. The USANA family will be the healthiest family on earth.
. Am I really committed to sharing Dr. Wentz’s vision with the world?
. Is my USANA business truly a business, or is it really only a hobby that I pursue when it’s convenient for me to do so? 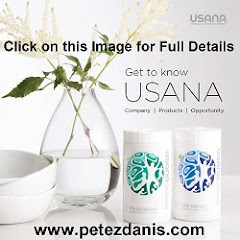 Virtually every USANA Associate will answer that they are certainly committed to sharing Dr. Wentz’s vision with the world, and just as many will likely proclaim that they are operating a USANA business. I would argue, however, that the reality is something different altogether. Let me give you an example……….. I recently spoke to a group of approximately 800 USANA Associates. I asked how many of them were committed to sharing Dr. Wentz’s vision. Every hand went up. I then asked how many of them have a USANA business. Again, every hand went up. I then asked how many of them were PaceSetters or Platinum PaceSetters. Approximately 250 people raised their hands. Finally, I asked how many of them have personally sponsored an average of at least two new Associates per month since they joined USANA. Twenty-five people raised their hands. A sampling of just 800 USANA Associates out of the tens of thousands around the world may or may not be statistically significant. However, I do think it indicates a pattern. First, let’s talk about commitment to sharing Dr. Wentz’s vision. I’m sure that every person who raised their hand in response to the first question believes in Dr. Wentz’s vision, but I have to wonder about their commitment, since only twenty-five, or about 3%, of them have sponsored an average of two new Associates per month since they joined USANA. When Dr. Wentz founded USANA in 1992, he made a decision on how USANA would market what he knew would be among the finest nutritional supplements in the world. Rather than selling USANA products through retail stores, health professionals, medical facilities, catalogs, mail order, etc., Dr. Wentz chose network marketing. Among the reasons for that decision was the fact that he knew that satisfied customers who personally realized the benefits of the USANA products would be the best sales force he could possibly assemble – “word-of-mouth” or “referral marketing”. Dr. Wentz also discovered that the referral process could be accelerated and sustained by utilizing a fair and lucrative compensation plan – “multi-level marketing” or “network marketing”. Over the past seventeen years, USANA’s products have come to be recognized as being among the best in the industry. USANA’s record-setting sales and financial performance has clearly caught the attention of the financial and investment communities. The outstanding USANA business plan has been recognized by entrepreneurs around the world as second to none. For example, USANA has received the coveted “Distributors Choice” award from MLMInsider Magazine for an unprecedented ten straight years. Consider that all of this has been accomplished with only 3% of USANA Associates personally sponsoring an average two new Associates per month. Just think how large USANA would be today, and how many more people would be benefitting from USANA’s products, if that number were 5%, 10% or even 20%! Let me suggest that the 3% of USANA Associates who are sponsoring an average of two new Associates per month are committed to sharing Dr. Wentz’s vision, while the remaining 97% are participating in sharing the vision, when it’s convenient for them to do so. Think of the example of a breakfast of ham and eggs, which requires two animals – a pig and a chicken. The chicken contributes to that breakfast menu while the pig is truly committed! Clearly, if one is truly committed to sharing Dr. Wentz’s vision, the best way to do so is to sponsor new Associates to assist in our efforts. Again, only about 3% of those people who stated that they have a USANA business have sponsored an average of two new Associates per month. Granted, some of them are new to the business and are just being trained, etc. An Associate who sponsors some new Preferred Customers and/or Associates now and then, and earns a $100 or $200 commission check every once in a while may consider themselves as having a USANA “business”. In my opinion, a USANA Associate has a business when they are consistently and diligently approaching and presenting to prospects, on a full-time or part-time basis, consistently sponsoring new Associates and Preferred Customers, and making retail product sales to those who may not be interested in becoming an Associate or Preferred Customer. These efforts can lead to creating weekly commissions and, eventually, a residual income that can approach or surpass what the Associate may be earning in their existing non-USANA job or career. To state it simply, based on my personal observations and opinion as a USANA Associate over the past 15 years: A USANA Associate who is sponsoring an average of two new Associates per month, in addition to complying with all USANA Policies and Procedures, clearly has a USANA “business”. Anything less than that is, in my opinion, open for debate. Before you criticize me for minimizing or dismissing the role of Preferred Customers and Retail Customers, let me assure you that I am not. Preferred Customers and retail sales are a critical part of any USANA business. However, as indicated in the vision discussion above, consider how many more people can be reached, how many more USANA products can be sold, and how much more your USANA income can grow by sponsoring new USANA Associates who can, and will, duplicate your efforts. And let’s not forget some of the themes and messages we have all heard and shared over the years: “The Power of Two”; “Two a Day and Followup Will Pay”, etc. These are much more than just catch phrases. They are concepts that work. Just ask any USANA Gold Director or above, or any new Associate who is on their way to those levels. Last, but certainly not least, let’s consider that just 10% of the PaceSetters and Platinum PaceSetters in this sampling indicated that they are personally sponsoring an average of two new Associates per month. These people know how to sponsor two or more new Associates in a relatively short period of time. They’ve proven that by their past actions. Why did they stop? Why are they no longer leading by example? Why are they no longer committed to sharing Dr. Wentz’s vision or building a USANA business? Were they satisfied just by receiving a shiny PaceSetter pin and the “bragging rights” that come with wearing it? I don’t have the answers to those questions. However, if you are a PaceSetter or Platinum PaceSetter, I would recommend that you ask, and answer, those questions for yourself now. Let’s now discuss, and celebrate, those hard-working and dedicated USANA Associates who are sponsoring an average of at least two new Associates per month – month in and month out. I consider these people to be the “bedrock” of the USANA Associate base. They are the people who are primarily responsible for the phenomenal growth and solid performance of USANA over the years. They are committed to sharing Dr. Wentz’s vision, and they are clearly building a legitimate USANA business. They know what it takes to succeed, and they do it. I call these people “Perpetual PaceSetters” for obvious reasons. Finally, let’s talk about the most important person in this equation – YOU. If you are content with using USANA products for your own personal benefit – great! If you are using USANA products for your own personal benefit and occasionally making retail sales and sponsoring Preferred Customers and Associates to earn enough money with your hobby to cover the cost of your USANA products, that’s even better! However, if you believe in Dr. Wentz’s vision and are committed to sharing that vision with others, and you are serious about building a business with USANA which can provide you, your loved one and your heirs with financial security, then let me recommend that you consider becoming a Perpetual PaceSetter, if you aren’t already. That's Great! Now, Go Do It! Are You a "USANA Orphan"? Have you heard a fellow USANA Associate say that they were an “orphan”, or have you ever felt the same way? The reality is that some Associates require more upline support than others – Whether it is detailed training, getting questions answered from time to time, or just a friendly voice to talk to when things aren’t going so well. When that’s the case, being an orphan with no one to care for you or look after you can be detrimental to your business. In some cases, it may even be enough to cause you to quit trying to build a business altogether. If you, or someone you know is in that situation, don’t give up hope. There is a simple solution to your dilemma…..
All you need to do is reach out and ask for help. That sounds obvious, but you would be surprised how many people don’t think of it, or don’t know how to go about it. 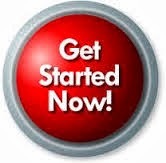 The first step would be to make sure that you have tried to contact any and all upline Associates you know of. If that doesn’t work, call USANA Distributor Services and ask them to give you the contact information for the next Gold and above Associate upline from you. Chances are, you will now be able to get in touch with a leader in your upline who will gladly provide you with the support you need, or at least connect you with someone who is ready, willing and able to do so. In the remote possibility that the Gold and above leader who USANA Distributor Services referred you to is not responsive, try again. And keep trying until you find a USANA leader who will provide you with what you are looking for. I guarantee that you will eventually find an upline USANA Leader who will provide you with the support you need, or at least connect you with someone who will. All you need to do is make the effort. In a perfect world, there would be no need for you to search for the support you need. In a perfect world, your USANA sponsor would provide you with the perfect training and support you need in order to reach all of your USANA business goals. Also, in a perfect world, you, and everyone you sponsor, would sponsor two new Associates who remain on a 200 SVP Autoship Order forever in perfect duplication, and we would all be living our dreams, whatever they may be, instead of having this conversation. But, as you’ve probably noticed by now, it’s not a perfect world. Stuff happens, things get in the way, and not everyone does everything we would like them to do. However, when things don’t go “perfectly”, all you need to do is make an effort to help yourself, and you will be astonished at how many people are out there who want you to succeed beyond your wildest dreams. There’s no such thing….unless you let it happen. Training is a very important, and arguably the most critical, component of USANA business building. Yet training is the component that is often the most overlooked, or most avoided. The fact is that the lack of adequate training is why many Associates are unable to grow their USANA business to the level they want it to. I believe that the word “training” strikes fear in the hearts of some Associates, especially newer ones. As with any other aspect of USANA business building, we all become better trainers the more we do it over time. Certainly, it is the responsibility of all Associates to have a good understanding of the USANA products, compensation plan and Policies & Procedures. This allows us to be more productive Associates and better trainers. However, even brand new Associates can be extremely effective in training others, since USANA makes the process very easy for everyone. For example, there are many links just on USANA Today dedicated to training, including the eApprentice downloads from the USANA BDS. Then, there are eApprentice and the BDS itself which have been created by thousands of hours of effort by USANA and some of USANA’s top leaders. Additionally, there are the materials that Dora and I send out to every new member of our USANA organization which include our USANA Checklist and our 73 page “USANA Success Manual”. We have created and refined these two documents over the past 14 years to complement the USANA BDS to make the training and education process as efficient as possible. I would also point out that we provide all of this information to our team members for FREE. We never charge team members, or crossline Associates, for our time and our training. I want to emphasize that the few items that I just mentioned – The USANA Today web site, the eApprentice, BDS, our checklist and “USANA Success Manual” – contain all the information that any Associate could ever need to build a USANA business of any level desired, from Gold Director to 20 Star Diamond Director. 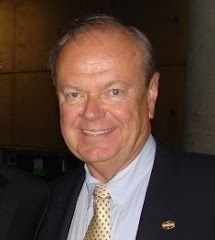 Let me repeat that: The few items that I just mentioned – The USANA Today web site, the eApprentice, BDS, our checklist and “USANA Success Manual” – contain all the information that any Associate could ever need to build a USANA business of any level desired, from Gold Director to 20 Star Diamond Director. And guess what? ALL of this information is available to all USANA Associates at an initial cost of $29.95US for the BDS, and an ongoing cost of just $19.95US every four weeks for the Online Income Maximizer. What concerns me is that there are literally dozens, if not hundreds, of training tools, materials and “systems” offered by various trainers (including some USANA Associates) and companies. I won’t name any names, but, I will tell you that, in my opinion, most of these tools, materials and systems are nothing more than another version of all the information already contained in the USANA eApprentice and BDS, and are basically a waste of time and money which only serves to confuse and frustrate the Associates who are lured by the promises of these items. Granted, there are some good third-party books such as the “45 Second Presentation That Can Change Your Life” by Don Failia and “Mailbox Money” by Richard Brooke which can be used for both recruiting and training, but beyond that, one will get little, if any return on their investment for anything else being sold out there. These people have good intentions, but require more help. You will need to schedule time with them to walk through each of the key training topics. They will keep appointments with you for training and do what is asked of them. This is where the majority of your team members will fall. At one time, surveys showed that over 80% of USANA Associates were new to network marketing. You have a major responsibility to insure that these people have the training and understanding they need to build a USANA business. It is my opinion that the major weakness of most USANA Associates is understanding the compensation plan. As you may know, we have conducted several compensation plan quizzes through our USANA e-mail distribution list. Of those who made an effort to solve the quiz and submit an answer, fewer than one third were able to correctly answer even the most basic solutions. If you want to succeed in USANA, make sure that you understand the compensation plan and that all of your team members do as well. Remember, you can’t win the game if you don’t know the rules. These people can build a business, but they will find every excuse why they don’t have the time to learn how to do things right. They are usually successful in other areas of their life and may be successful professionals such as doctors, attorneys, business owners, etc. All you can do is make a reasonable attempt to review the USANA training items with them. If that is not possible, let them know where they can find what they need to know and make yourself available if they ever decide to get serious about USANA. These people are also relatively rare. 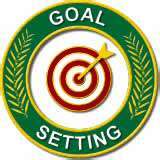 They have no goals or focus and even if they did, they are easily distracted by others and outside forces. They may have appeared to be motivated during the prospecting and enrollment process, but that turns out to not be the case as you get to know them better. Their lack of motivation and inability to commit to being successful often shows up in other areas of their life. In summary, training is extremely important to allow you and your team to succeed in USANA. The good news is that you have everything you need to learn everything you need to know, and you have everything you need to share that knowledge with everyone on your team. A USANA Web Hosting site can be a very powerful business building tool. But it’s a tool that is often overlooked and under-utilized by many Associates. If you don’t have a USANA Web Hosting site, we recommend that you set one up soon. If you are using a Web Hosting site, we want to give you some ideas on how you might enhance your site to make it more effective. THEME: Is the purpose of your Web Hosting site clear? What is the message you want to send to your site visitors? Do you have an attention-getting headline that makes the visitor want to completely look over your site? APPEARANCE: Is the overall appearance of your site pleasing to the eye with an attractive, professional color theme utilizing consistent fonts and image sizes? MESSAGING: Does your site provide a clear, concise message that flows logically? Or, do you overwhelm the visitor with lengthy, scattered information that they will never completely read or watch? YOUR STORY: Do you include enough information about yourself, who you are, why you are in USANA, and why the visitor should purchase product from you or join your USANA organization? How do you differentiate, or “brand”, yourself? Visitors want to know who they are dealing with. CALL TO ACTION: Do you provide a clear and compelling reason for the visitor to contact you before they leave your site? You can have thousands of site visitors, but they are worthless to you unless you know who they are and how you can contact them so that you can get them offline and on the phone. CONTACT INFORMATION: Is your contact information, including e-mail address, phone number, city, state/province prominently displayed so that visitors can easily get in touch with you? FUNCTIONALITY: Are all links and videos working properly? Do you have distracting videos that start automatically, or do you give the visitor the option of starting videos at the time of their choosing? COMPLIANCE: Do all messages, statements, links, etc. meet USANA Compliance standards? Your USANA Web Hosting site is your personal message to prospects and potential prospects, and you only get one opportunity to make a good first impression. We hope that this checklist with help you build a powerful and effective USANA Web Hosting site to help you grow your USANA business with prospects worldwide. Whether you have just begun your network marketing business, or whether you've been with USANA for years, these two words, in my opinion, are critical to your short-term and long-term success. These two words are RESPONSIBILITY and ACCOUNTABILITY. Responsibility can be, and often is, shared. Many people are responsible to you in your USANA business - Your sponsor, the rest of your upline, the people in your organization as it begins to develop, and, of course, USANA, just to name a few. Your sponsor was responsible for bringing you into the business, but it doesn't stop there. In fact, the dictionary definition of sponsor is "One who assumes responsibility for some other person or thing". Your sponsor is also responsible for helping to make sure you are properly trained, and that you receive all the necessary coaching, mentoring, and support as you begin your growing Usana business. Similarly, the rest of your upline is responsible to you and your sponsor in much the same way. And you, in turn, are responsible to everyone you sponsor into your business. Every person in your organization is responsible for conducting themselves professionally in introducing the products and business to others. USANA is responsible to all of us to provide quality products, effective business-building tools, and a robust marketing plan to help each of us reach whatever goals we desire. Accountability, on the other hand, CANNOT be shared. We often hear the term "shared responsibility", but there is no such thing as "shared accountability". Some would call that term an oxymoron. One could define accountability as the "ultimate responsibility". Perhaps it would help to think of one of the quotes that former U.S. President Harry S. Truman was famous for, and that is, "The Buck Stops Here". That is probably the clearest and most well-known statements of accountability ever made, and it leaves no doubt in one's mind as to where the ultimate responsibility lies. Which brings me to the main point of my comments, which is that, while many people are responsible for your individual success in your USANA business, only one person is accountable for your success, and that person is YOU! That's right, the "Buck" stops with you. Everyone of us deals with numerous obstacles in our business: skeptical prospects, competitive companies, non-committed people in our organizations, and simply just not having enough hours in the day to be able to do everything we want to. Maybe you have a sponsor who doesn't return your phone calls. Maybe you live in a small town like Powell, Wyoming where there's hardly anyone to talk to about USANA. Maybe your family members think you're involved in some type of "pyramid scheme". Maybe you have friends who were in network marketing, but gave up and claim that network marketing doesn't work. Maybe you don't have that brand new personal computer that you know will do everything for you. I could go on for a long time listing dozens of more obstacles, and, like many of you, I've heard of, or experienced, almost all of them at one time or another. BUT, if you, even for a moment, blame even ONE of these, or other, obstacles for your lack of success, then you've given up your accountability. In fact, were Harry S. Truman here today, he'd say that you're "passing the buck". "Hello, Pete? This is Lou Lazy calling." "Hi, Lou. How have you been? Did you receive all the e-mail and voice mail messages I left for you over the past four months?" "Yeah, Pete, I did. Listen, I'm sorry that I haven't gotten back to you sooner, but, you know, it looked like the Eagles were going to go all the way, then there was the Super Bowl, then St. Joe's, Temple and Drexel all got hot in basketball, and now the Flyers are making a run at the Stanley Cup. Ya know, it's been one thing after another. In fact, if it weren't for the Sixers doing so badly this year, I wouldn't have found the time to organize my shot glass collection!" "Lou, I know what you mean. What can I do for you?" "Well, Pete, I've been in USANA for about six months now, and the two people I sponsored still haven't purchased any product, and all those people you placed in my organization are all in one leg which is maxed out. I found out the other day that all my volume has been flushed because I forgot to place an order a few months ago. Plus, I'm not making any money, and I still don't understand the compensation plan. What are you going to do about it?" It may sound far-fetched, but conversations similar to this one happen all the time. Lou has given up his accountability, and is attempting to put it right in my lap. As we discussed earlier, no one can share, let alone assume, Lou's accountability. o Lou, what are your written goals for your USANA business? o How many prospecting contacts did you make last week and last month? o How many business presentations did you make last week and last month? o What has been your most successful sponsoring method so far? o What obstacles do you feel have held you back from reaching your goals? o What is THE primary reason you want to be successful in USANA? o What is the single most important thing that I, as your sponsor, can do to help you? There are certainly other appropriate questions which can be just as effective, but the objective is to make Lou THINK about his business, and deal with some questions which he may well not like to answer. But, if he is truly honest in his answers, he will soon realize that the accountability for his USANA success, or the lack thereof, lies with him, and he can't pass it off on you or anyone else. o Using the USANA online tools and learning how to use them to communicate, coach and learn is being accountable. I hope I've given you some food for thought on how you can grow your USANA business through being accountable to yourself, responsible to your organization, and helping others become accountable for their own success. Maybe Harry S. Truman became accountable by stopping the "Buck", but, when you're accountable for your USANA business, the bucks don't stop - they grow for you and everyone on your team.